Revesby 140, Fulbeck 142-5 - Fulbeck won by four wickets. Ten-man Fulbeck proved too strong for Revesby CC in the Lincoln and District League’s Premier Division on Sunday. 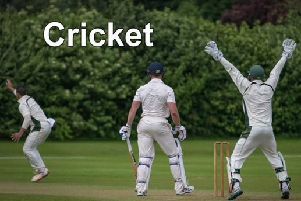 Revesby posted 140 runs before being dismissed, Fulbeck responding with 142 for the loss of five wickets. Revesby are currently third-bottom in the division. They are without a game on Sunday, but travel to face Norfolk-based Castle Rising in a friendly (1pm).